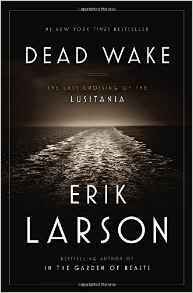 With Erik Larson’s Dead Wake: The Last Crossing of the Lusitania under my belt, I am tempted to read all of his other books. I know The Devil in the White City is in this house somewhere. It certainly did not escape my notice, but for one reason or another, I did not get around to reading it. Now I have that comforting feeling one gets when they find an author they enjoy; rather than having to wait for the next book to come out, I can backtrack with more interesting reading ahead. In Dead Wake I found I could not get enough of the details that Larson seems to heap upon the page. Back in my salad days, while some in my midst could not stand James Michener, I was in the opposite camp and loved all of his books. It begs the question of why am I such an obsessed fan of literature in the first place? Do I read to learn about other people and places? Do I read to be swept away from mundane chores of everyday life? Do I read because I often wake up in the middle of the night? Do I read to broaden my horizons? Do I read to add to the bank of knowledge I have spent my life building? Perhaps I could answer yes to all of the above. I do love to learn about the inner workings of things. I also love to learn about what would possess a U-boat captain to fire on a passenger ship. Dead Wake furnished me with enough details to satisfy my never-ending curiosity. I simply could not get enough of learning what was on board that ship. I liked reading about the pounds and pounds of candy, of the many cases of whiskey and the refrigerated bunches of fresh roses. I also got involved with the characters. There was much about the sinking of the Lusitania that I did not know. It was almost as if it was one of those incidents about which we choose not to think. Considering the proximity in years to the Titanic and the fascination with that story, I found myself wondering why I had not read more about it to date. How does an author manage to hold the reader’s interest when we know the outcome of the story? We know the ship will sink. We know that the event will bring the United States into The Great War. Yet the reader is captivated as if they were in the predicament themselves. U-boats were a new and terrifying reality creeping across England’s moat and striking terror on the high seas. I did not know that Germany gave advance warning to passenger ships informing them that they were crossing a war zone and could very well end up a casualty. I had no idea that the passengers had been informed of this before they boarded. The Lusitania was stuffed with munitions. That I did not know either. One afternoon up at Bayview, in Idaho, when sitting on a friend’s deck, I spotted a massive submarine cruising along in the depths of Lake Pend O’Reille. What a sight! As the daughter of a naval officer, I heard many stories of the fear one feels while scanning the horizon, constantly on the lookout for the enemy. Previously impenetrable defenses could be breached and almost silently and from the dark and mysterious depths. Yet people had business to conduct, families to visit, and since the only way to cross the pond at that time was by ship, they ignored the risk or did not somehow believe it was possible and climbed aboard the ill-fated Lusitania. Another figure in the story, President Woodrow Wilson, had a part to play as well. It is interesting to note how reluctant the United States was to engage in the war, how badly the Allies needed their support and what it would take to get them to engage. I always thought the sinking of the Lusitania did it, and as with Pearl Harbor, it was almost immediate. Not so. 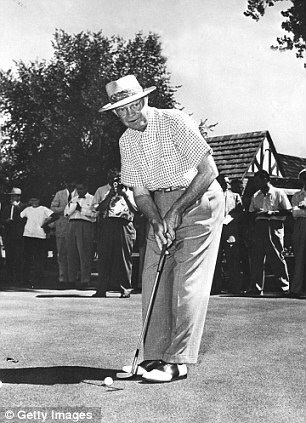 The President was out playing golf every morning and driving around the city in his Pierce Arrow. He was grief stricken and courting a new wife. He seemed very distracted and somewhat removed from the horrors of trench warfare. Dead Wake served to put me in another place in time. I find that there is much to puzzle over. There is more I want to know and to imagine as well. Larson has the gift of depicting an historical event with enough sizzle to make it read as a novel. That is no easy feat. He has been called a master of narrative non-fiction. I could not agree more. This entry was posted in Narrative Non-Fiction and tagged Erik Larson, Lusitania, narrative non-fiction, Woodrow Wilson on September 13, 2015 by Elizabeth Smythe Brinton.